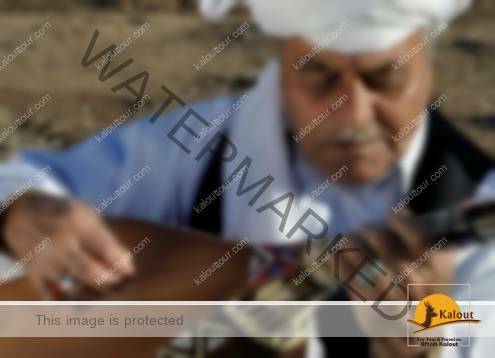 The music of Bakhshis of Khorasan is considered the cultural identity of the people of this region. It can be very fascinating to come to know and understand this type of music for the researchers, tourists and music lovers. It’s a specially enjoyable tourism opportunity for the enthusiasts of Iranian art and culture.The music of Bakhshis of Khorasan is considered the cultural identity of the people of this region. It can be very fascinating to come to know and understand this type of music for the researchers, tourists and music lovers. It’s a specially enjoyable tourism opportunity for the enthusiasts of Iranian art and culture. Today there are three provinces of Northern Khorasan, Southern Khorasan and Razavy Khorasan in Iran. Traditionally, there has been a historical region mostly spread across modern day Afghanistan, eastern Iran and parts of Tajikistan, Turkmenistan, and Uzbekistan. It’s gained a reputation as the Sun of the East. Accommodating a multitude of unique shrines and burial memorials of eminent figures and poets, Khorasan has become one of the unparalleled regions with tourist attractions inviting numerous fans of original Iranian music. Since Khorasan region is the motherland of this type of music, some call it the Florence of Iran. Among various genres of ancient music of this region, the music of Bakhshis of Khorasan is one of the musical forms within traditional and Maqam system of Iranian music. Like other Maqams of Folkloric music, Bakhshis’ music has emerged from the life of migrating nomads (of Kurdish and Turkish origins) and villagers. The intellectual value of this music has been high enough to be registered by UNESCO as one of a series of intangible Iranian music properties. What leaves an unforgettable impression in one’s memory is the experience of listening to such music in person where it’s played. Many enjoy taking part in their special circles, particularly while making the musical instruments by using different types of wood. This music is accompanied by peculiar style of minstrel, shout as well as ups and downs that have strikingly coordinated music with improvisation. Many of the musicians of this genre are sometimes so deeply inundated with their own music and song that continue singing without noticing their fingers are cut by the instrument’s strings. What distinguishes this type of music from others is its instrument, “Dotar”. As the name implies (do: two & tar: string), it has got only two strings for playing, a couple regarded as male and female. The musician creates delightful melodies (Nava) that sit in listeners’ memory forever. One of the most famous songs of Bakhshi music of Khorasan is called “Navaee”. The wonderful tune of this style of music in Maqam system of Iranian music, you should listen to this song! 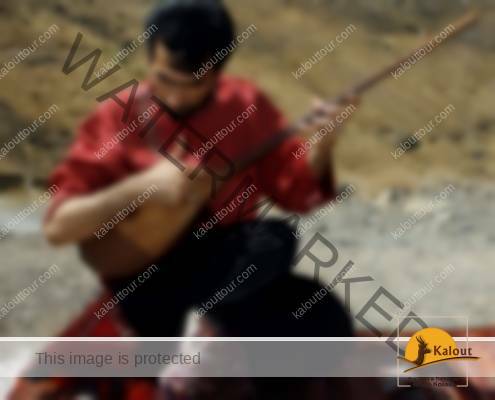 This style of singing is a kind of minstrel in Turkish, Kurdish and Khorasani version of Persian. Later, it found its way to family circles, funerals, parties and even for healing of the patients. Today, the situation is different. It has turned into a type of Maqami music for happy occasions and Iran’s cultural heritage. Nowadays individuals and bands sing it for all ages. Famous bands playing the music of Bakhshis of Khorasan are invited to perform in various concerts across the world these days. Such musicians have obtained valuable titles for their unique and beautiful arts. From singers and Khorasan people’s points of view, one won’t become a Bakhshi artist if he merely has got mastery over performing as a singer and musician. To become a true Bakhshi music artist, you will have to have all the skill of making Dotar, performing the music, singing songs, improvisation, storytelling and composing poems. As the word “Bakhshi” is rooted in “Bahshesh” meaning “giving” or “gift”, people believe that only God may give you such a gift to become such an artist. The performer should be essentially of a high artistic, spiritual and mystical position. Therefore, such performers are highly respected and valued among Khorasan people. Often times, the singers of this style of music are from elderly gray-bearded men of this region. You can explore the musical instrument workshops during your trip to Khorasan region and visit to cities and towns like Bojnourd, Torbat-e Jaam, Shirvan, Quchan, Esfarayen, Dar-e Gaz, etc. When you travel to North East of Iran, Khorasan provinces, remember to visit the bakhshi music singers who sing of love, people, religion and history in purple-color saffron fields. Also keep in mind that it will be quite rewarding to participate in Bakhshi musician circles, listen to the sound of their hand-made instruments and let this music tie your hearts and soul to the Eastern magic.